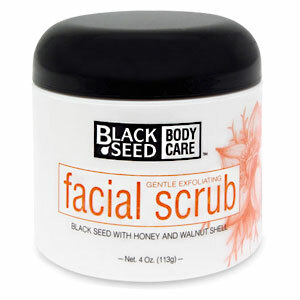 Our Black Seed Facial Scrub is made with the finest natural ingredients - including Black Seed Meal, Apricot Seeds, and Honey. You will love the way it gently cleanses your skin while removing dirt and dead skin cells. The result - beautiful, soft, and healthy skin. Black Seed with Honey and Walnut Shell. 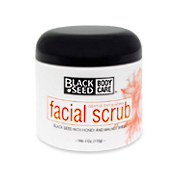 Black Seed Facial Scrub is shipped in a discrete, unmarked package. Orders are processed immediately and usually take about 3 to 5 working days to be received. We do ask that you try it for 2 to 3 weeks to feel the full effects. Any information received is used only for order processing and shipping purposes. Your information, such as e-mail address, will never be disclosed to a third party.